What is the charter capital and actual paid up charter capital of NBC as of 31 December 2008? In the fiscal year ended 31 December 2008, the charter capital and actual paid up charter capital of NBC is VND140 billion. In addition to common shares, what other types of shares does NBC have? If yes, what is the volume of each class of outstanding shares? Currently, NBC only issues one class of share, i.e. 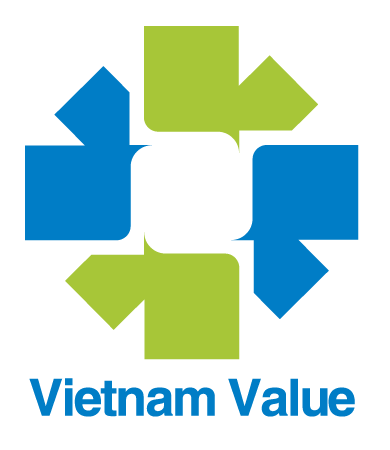 common shares, with a total volume of 14 million shares corresponding to the charter capital of VND140 billion. Is NBC a public company? If yes, when did NBC register public company with SSC? What is the total number of shareholders as of 31 December 2008? According to the definition of the Securities Act, NBC is a public company. NBC completed the registration of public company with the State Securities Commission in October 2007. Total number of shareholders as of 31 December 2008 was 456. Were NBC’s stocks (shares) centrally deposited or not? NBC's shares have not been centrally deposited. Which channels can I track the transfer price of NBC’s shares? Because NBC's shares have not been deposited and traded in stock exchanges, there is no formal channel to determine transfer prices. Shareholders may consult through the OTC transactions or news on various mass media. Whether NBC has a regulation on the implementation of the transaction and shareholder rights or not? Because I want to know which procedure should I follow to perform my rights and obligations as a shareholder? The transaction and the rights of NBC’s existing shareholders shall comply with the general provisions of NBC’s Charter of the organization and operation of NBC . Did NBC have any department or unit in charge of shareholder relations as well as their transactions and rights? The Stock Management Board is currently in charge of the above tasks. I and a shareholder of NBC agreed to transfer shares. What procedures and forms should we do and complete? Very simple: It is only required to submit the certified application for share transfer signed by both parties, the original copy of share registration book and the identity card of the transferor and the transferee. Did NBC have a program to buy back shares from shareholders wishing to sell? If yes, how is the purchase price calculated? The company has currently had no demand to buy back shares from shareholders. Did NBC manage basic information of each shareholder (name, ID number, address ...)? I have just changed my ID, so what should I do to have NBC update my information? The Stock Management Board has managed and maintained the full information of shareholders as you stated. In your case, please contact by phone directly to the Stock Management Board or send email to: haibks@gmail.com. How will NBC send invitations, documents and information to me? To my address or in any other way? If NBC pays dividend by cash, can I choose to receive by cash or through bank account? To facilitate the payment of dividends to shareholders upon request; if shareholders wish to receive money through bank account, please register with us before we notify the payment of dividends by cash. My relative has owned shares of NBC and has just passed away. I am the heir. So what should I do to transfer the name of such shares? You must have proof that you are the heir (undisputable). You must make the commitment in writing that you are the heir as certified by the Ward People's Committee and accompanied with the death certificate of the shareholder in question and your ID. Currently, upon the transfer of shares or receipt of dividends, what personal income tax obligation will I fulfill? Currently, we haven’t charged any fee with respect to the transfer of shares. With respect to tax obligations due to transfer of shares or receipt of dividends, the tax on PIT has deferred the performance until 31 May 2009. Will NBC temporarily withhold my taxes? If yes, NBC will issue receipts (income tax receipts) for me? Currently, it is not applicable. However, when the personal income tax law is applicable, we will issue the personal income tax receipts to you as regulated by Ministry of Finance. How can I contact directly with the Board of Directors, the Supervisory Board in the event of emergency? You can contact via phone directory (08) 38720077 and ask to put you through to the secretary of the BOD, CEO or Head of Supervisory Board. Does NBC have any official spokesperson or not? If there are any rumors on the market, which individuals or departments should a shareholder like me contact with to have official confirmation from NBC? The right to officially present and speak on behalf of NBC is belong to the Board Chairman, Chief Executive Officer, Board Secretary and others as authorized or assigned as appropriately. Does NBC make periodic disclosure and announcement of unusual events in accordance with the Securities Act with respect to public companies do not? If yes, what channels can I have access to such information? NBC has fully performed the responsibilities of a public company with respect to the information disclosure on a regular basis or in the event of unusual events.